Haddonfield Open House Holly Festival! December 10, 2014 Uncategorized Comments Off on Haddonfield Open House Holly Festival! November 29, 2014 Uncategorized Comments Off on Donations Needed! November 19, 2014 Uncategorized Comments Off on New Hours for the Library! Beginning today, November 19, the library is open Tuesdays and Wednesdays 9:30-11:30AM, the 1st Sunday of the Month from 1-3PM and by appointment. Decorate your home this Holiday season with our fragrant, fresh-cut boxwood balls, each lovingly hand crafted and adorned with a festive red ribbon bow and green plastic hanger. Each ball measures 10”x12”, and costs $25. Orders must be received by Dec. 7. 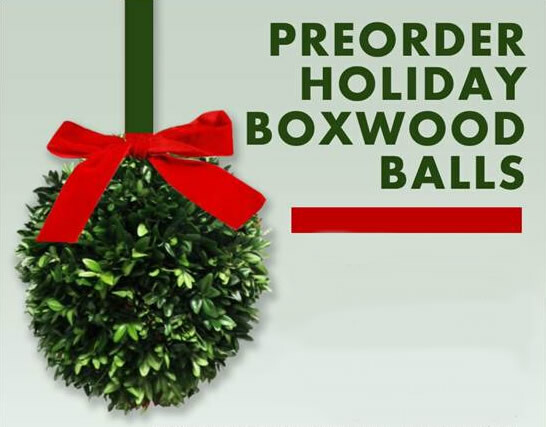 These boxwood balls are an HSH tradition, available this year by pre-order only. They will be ready for pick up at our Holly Festival on Sunday, Dec. 14th from 12-4 pm. Check or cash only. Checks should be made payable to: Historical Society of Haddonfield and mailed to Historical Society of Haddonfield 343 Kings Hwy. E. (856) 429-7375. October is Full of Spooky Fun! October 3, 2014 Uncategorized Comments Off on October is Full of Spooky Fun!